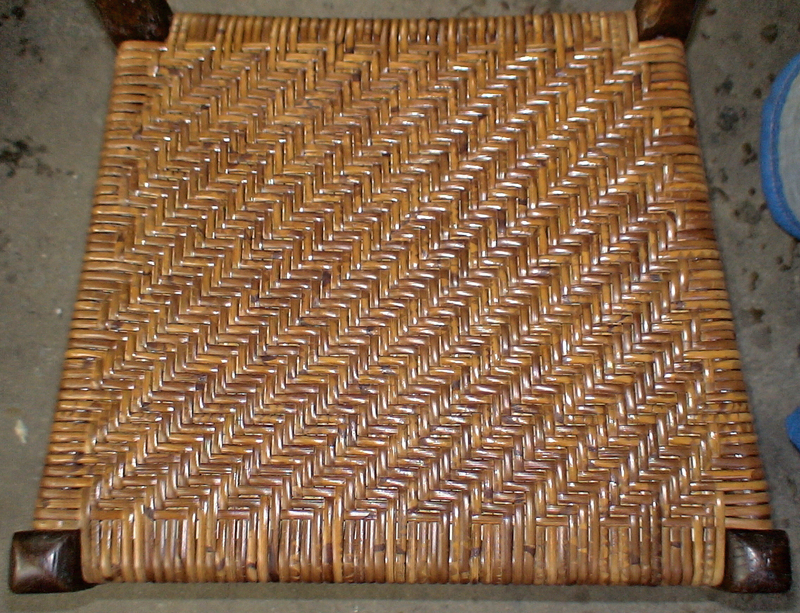 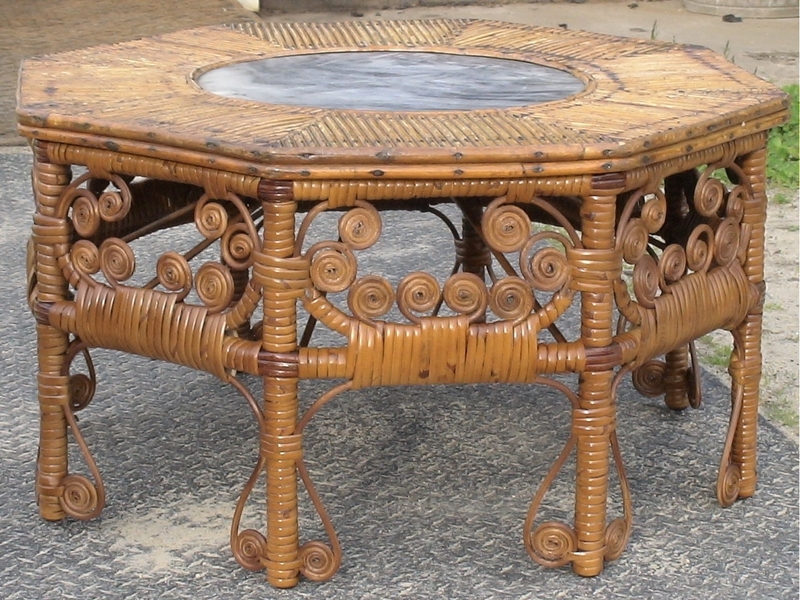 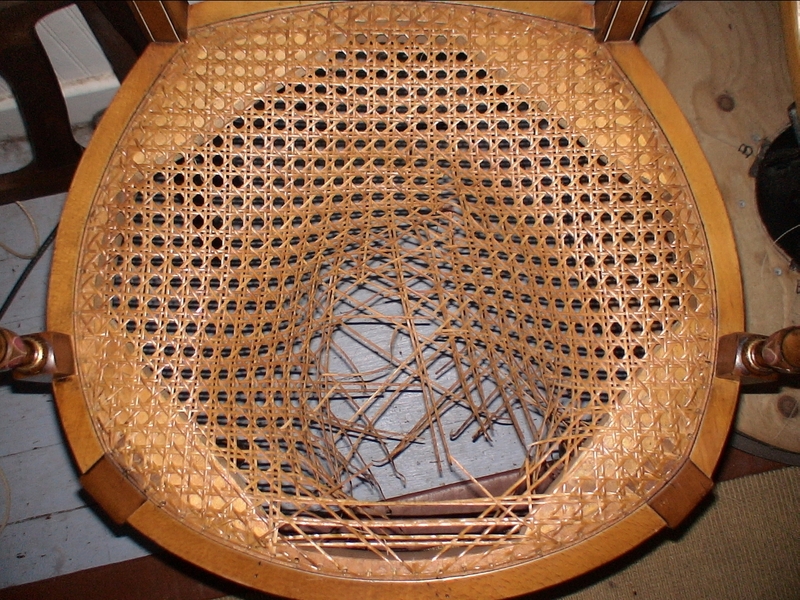 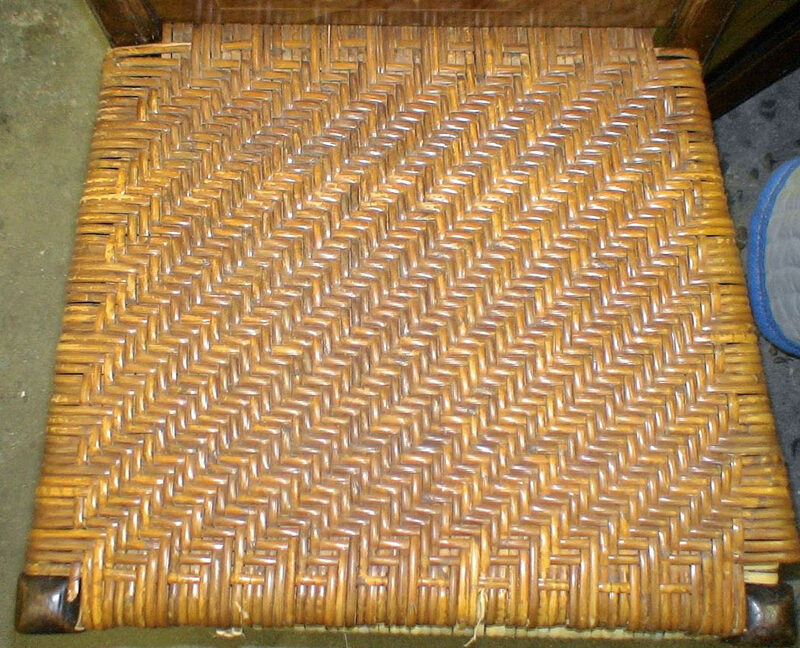 Eight sided table - (Round reed #9, slab rattan and kuboo rattan) - was brought in to have 5 of 80 culiques reattached. 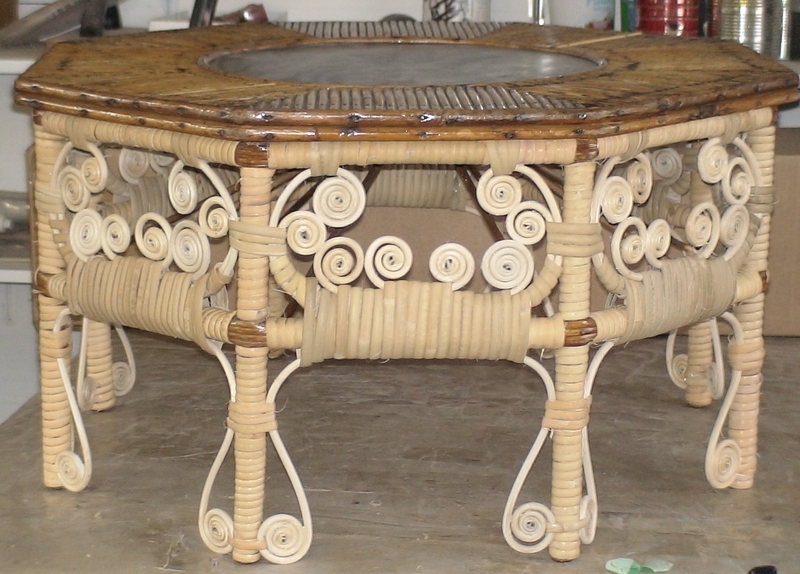 Due to poor repairs previously (used silicone, caulk, stick glue and wood glue) they could not be reattached and the whole table was redone from scratch. 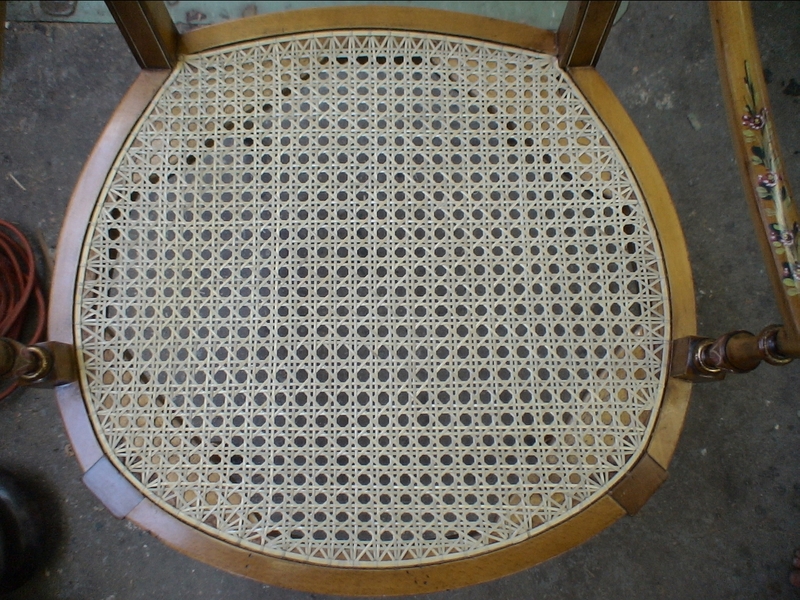 This is the redone table before color matching to top.